I LOVE this slow cooker method for making soup. I usually make this in a large soup pot, sauté the veggies in a little oil right there, add broth and let it simmer. By using a slow cooker, you skip the sautéing part and reduce the oil. I made a soup similar to this last fall, tossing whatever I had — apples, sweet potato, regular potatoes, carrots — into a big soup pot along with butternut squash; this time, I did the same thing in a slow cooker (way more fun). Enjoy as the main course or as a side, the result is a sweet, yet savory Slow Cooker Butternut Squash Soup that’s hands off minus the minimal prep of the produce in the beginning and puréeing at the end. This recipe is an oldie, but a goodie, and it’s too decadently delicious to not share again. Sometimes, we need a gentle reminder to resurrect the been-there-done-that recipes. This time, I substituted Whole Foods’ Unsweetened Almond Milk for half & half and I can honestly say that I hardly noticed the switch. Whole Foods’ version is much heavier, richer and less watered-down than its Silk or Almond Breeze counterparts. That’s just my take, but I’ve found Whole Foods’ almond milk to be a perfect substitute for cream or half & half. But back to the pumpkin sauce. The nutty, barely sweet and standalone flavor provided by the nutmeg is all you need — unless you’re like me and enjoy a kick, and the cayenne pepper does just that. 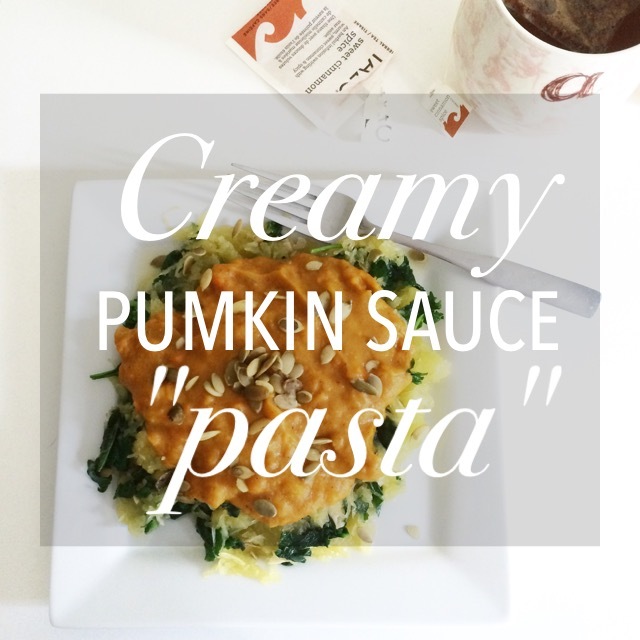 This Creamy Pumpkin Sauce is rich, flavorful and the perfect fall dish. I haven’t made granola in a while, but having a snow day during my second week of work with nothing to do, this sounded like my best option. Plus, I’d have a delicious snack come the rest of the week. I went to Trader Joe’s for the first time and found dried peaches when I was looking for mangoes. They’re so delicious. 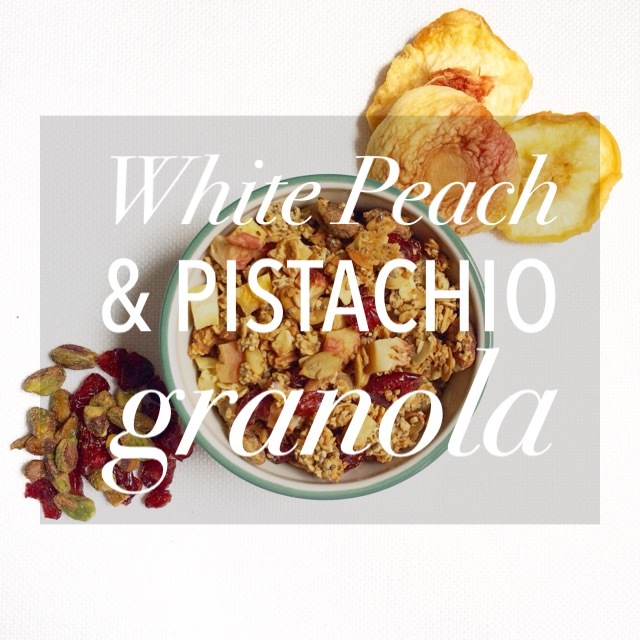 I also had pistachios from the move and naturally White Peach & Pistachio Granola evolved. Toss in some nutmeg and viola! The perfect cold weather snack.